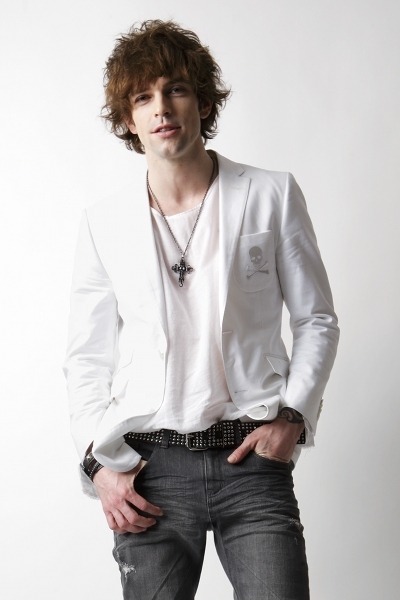 When it comes to the name Jon Underdown most people will probably think about the amazing �Yellow Fried Chickenz Tour 2011� where Jon joined GACKT on vocals. But that�s only one part of the story, because at the same time, Jon Underdown is also the lead vocalist of the Japanese rockband fade, which will release the European Edition of their latest EP Kings of Dawn all over Europe this December! There is no doubt that fans of straight and powerful rock-music will love �Kings of Dawn� right from the start! Gan-Shin Records will release the European Edition of Kings of Dawn including never released before bonus track face� (unplugged version) on the 23rd of December digitally all over Europe! But what�s so special about fade, except for their ambitious, high-voltage rock-music? 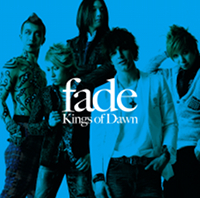 Probably the members themselves, because fade combines the best of east and west: Founded in 1991 in New York City by rui who has an American nationality and kansei, noriyuki joined the band in 1994 until they finally moved to Tokyo, where 5� joined on guitars. In 2001 Jon Underdown completed fade on vocals. Jon, born in the U.S. and raised in Seattle always felt a deep connection to the Japanese culture, which finally leads his way to fade. There is no doubt that fans of straight and powerful rock-music will love �Kings of Dawn� right from the start! Gan-Shin Records will release the European Edition of �Kings of Dawn� including never released before bonus track face (unplugged version) on the 23rd of December digitally all over Europe!